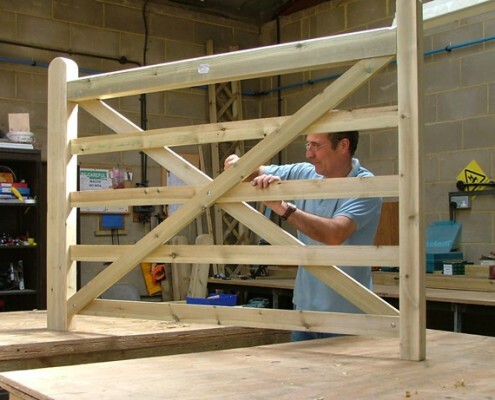 Our gate workshop on site at Tonbridge Fencing, we have the facilities to manufacture gates to a wide range of sizes, types & specifications. For example, one of our gate makers has built a bespoke width field gate (as pictured) at the request of one of our customers. We can also make gates to your bespoke design or pattern; if you are trying to match an old gate or something perhaps more suited to your location. Feel free to contact us to discuss your gate design and specifications. 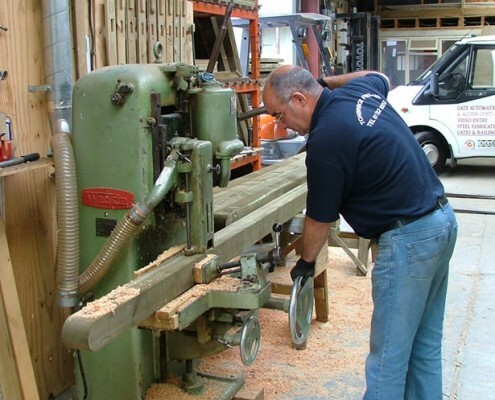 We can also offer bespoke fencing manufacturing. 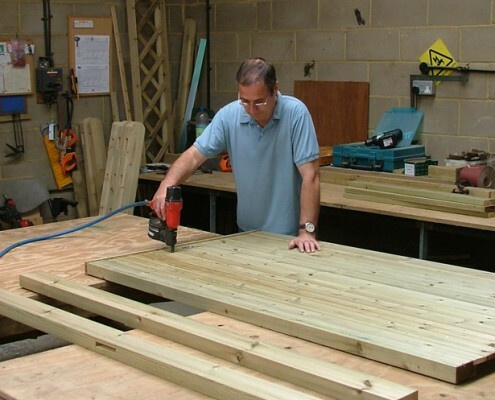 This includes mortising of posts, cutting and ending of posts, re-ending rails & general cross-cutting of timber available from our fully fitted timber workshop. Whether you are looking to match your existing fencing or start a new, Tonbridge Fencing can help find the right style of fencing suited to you. All softwood material is tanalised pressure treated. Contact us today to discuss your material requirements.